PHOTOGRAPHY has found a natural home on the internet – with a host of flashy websites to show off the work of snappers around the globe, and a thriving #photography Twitter tag that is buzzing with links to various cool websites. This week, we take a look around a few places that catch the eye. Let’s start at the beginning – and http://learnbasicphotography.com/. 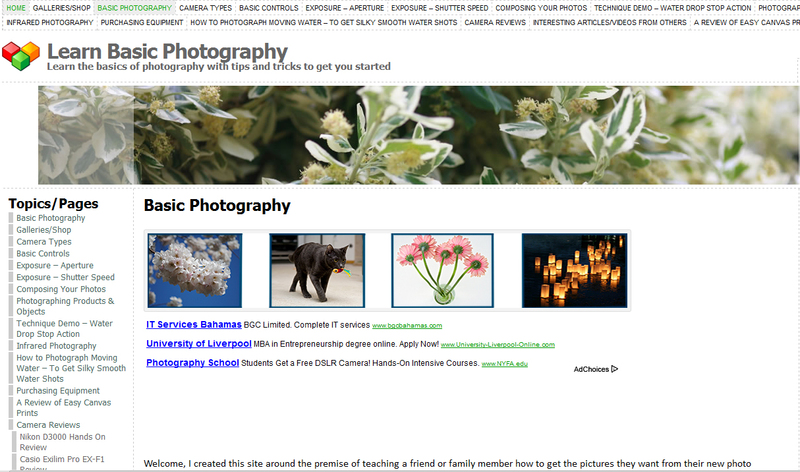 This really does exactly what the website name says – takes you from the very start and helps you develop your skills as a photographer. It will take you through the kind of equipment you will need, talks about types of cameras and points you to a few reviews of some to choose from, discusses how to compose your image and lighting, and much more. It builds up to talking about such things as aperture speeds and the kind of topic that might be daunting for a beginner – but slowly, clearly and in a friendly fashion. Well worth a look for the beginner (which I still count myself as!). There are a million and one photography blogs out there. Let’s face it, in the digital age, if you’ve got a camera, you’re going to be uploading the pictures onto a computer. And if you want to show the world what you can do, you’re going to rustle up a website. With sites such as Wordpress and Blogger making it easy to create a blog site, many photographers are creating quite an online presence with their work. When I gave a shout out on Twitter that I was looking for good photography websites, an old colleague was straight in with some recommendations (thanks, Dave!). A smashing photographer, I’m happy to take his advice and point you to http://strobist.blogspot.com/ which is a mix of photography news, spotlights on creators’ work, Q&As and more. Well worth a look. He also recommended http://blog.chasejarvis.com/blog/ which is a bit broader – and easier to navigate around looking for material than Strobist. 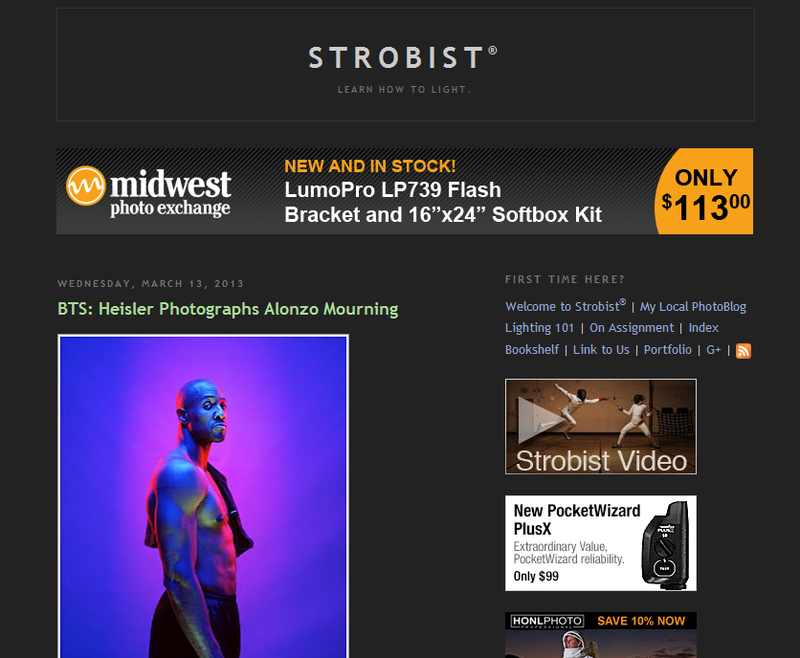 That said, Strobist had the edge for me on more interesting articles. Keep an eye on #photography for more blogs. Do you like learning but hate reading on a screen? 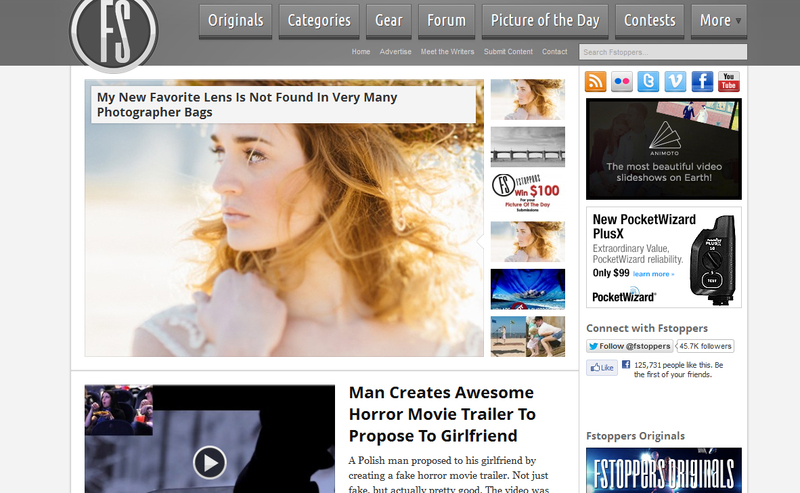 You’re not alone, and FStoppers aims squarely at that audience. A photography site filled with good advice – but most of it is provided through video rather than a screen full of text. They can’t do it all the time for every subject, and don’t ignore a good subject just because they don’t have a good video, but it’s nice to have the different approach. There is advice on gear, a forum for when you want to exchange tips with fellow forum members, a picture of the day section to admire striking shots. One section that caught my eye was a series of videos about using drones – yes, the ones that are being debated over in the US right now – to catch spectacular aerial images. A fine example of swords to plowshares, I’d say. 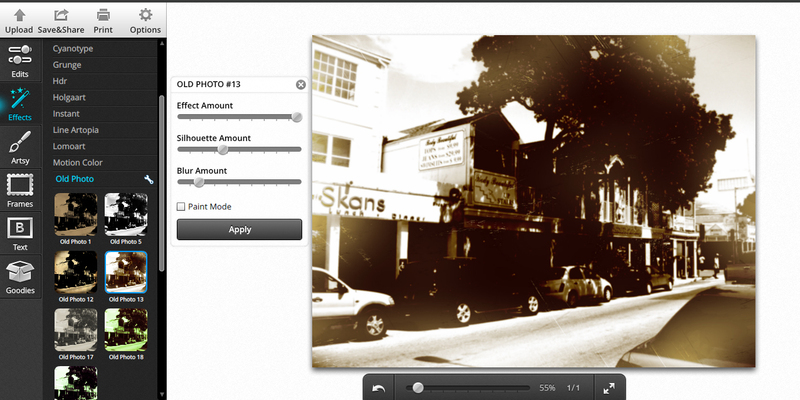 Once you have your pictures, you’re going to want to edit them. Some of the websites above will point you at useful pieces of software – but there are also websites where you can edit your photos online. Some, such as Instagram, are getting quite well known, although a kerfuffle over photographers’ rights soured views of Instagram for a while. There’s more out there too, though, such as www.befunky.com where you can upload a photograph and add all kinds of effects to it – from serious adjusting to brightness and contrast and so on, to fun effects such as making it look like an old sepia photograph. You can even get charcoal versions of your images or pop art effects – lots of the kinds of effects you could from an expensive piece of software, but free because it’s all online at one site. Certainly worth a look if you’re deciding about buying photo editing software – if it does all you need, you might not need to spend an extra cent! Lastly, we’ll take a look up to the stars, for a whole different universe of photography. We’ve mentioned the Nasa site before, but the picture of the day is a beautiful treasure trove of images. 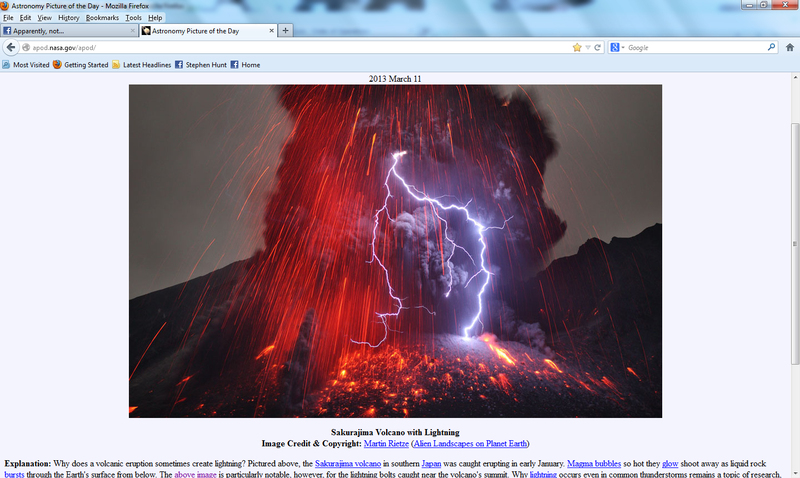 Stars and galaxies, and even a few astonishing images from down on earth such as lightning flashing around a volcanic eruption. This is a daily sharp intake of breath, accompanied by a little science on the side to illuminate our universe. · If you have a website you’d like to see feature in a future column, tweet me @chippychatty.